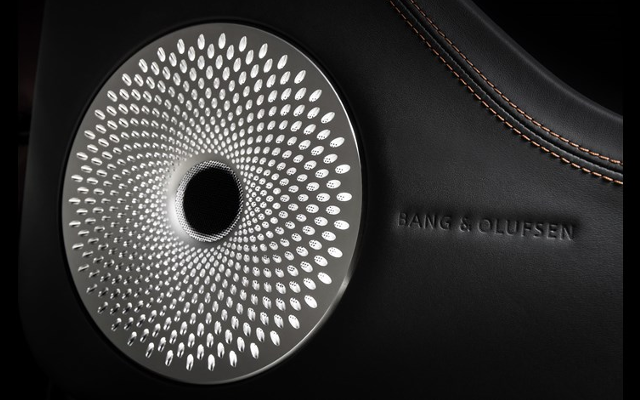 Bang & Olufsen BeoSonic One-Touch Experience provides four distinct audio spaces: Bright, Energetic, Warm & Relaxed. 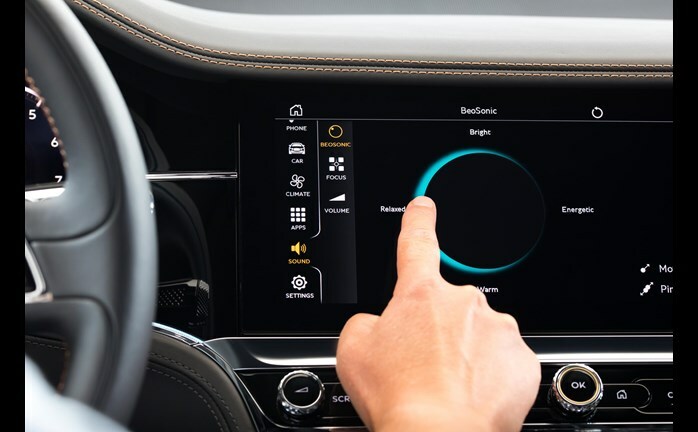 The sound-tuning of the spaces is adjusted to the driver’s preferences through an easy-to-use, haptic touchscreen interface integrated into the multimedia system. 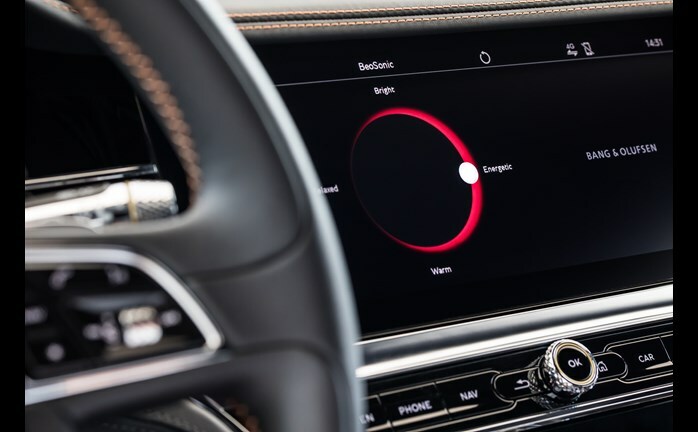 The Bang & Olufsen sound system for Bentley has been developed in close collaboration between Bentley’s and HARMAN International’s design and audio engineering teams leading the design of Bang & Olufsen sound systems for Bentley. The system features 16 active loudspeakers and a powerful 1,500-watt BeoCore DSP amplifier ensuring an impressive high-quality sound. Customers selecting this system also benefit from the iconic design of the speaker grilles – finished in aluminum with holes drilled in variable sizes and angles and shaped to a uniquely-designed Fibonacci hole pattern. The angled holes are placed as tightly as possible to achieve the best acoustic transparency and to build a contrast to the glass-pearl blasted surface.